Oversize, overweight trucking services in the Midwestern United States and beyond. We transport freight up to 14' in width. Some of our trailers are quipped with outriggers allowing the deck to expand to 10'6" in width. We can transport items that weigh up to 85,000 pounds with our equipment. Currently we have eight 7-axle combinations to service the heavier items. We will be adding more in the near future. Shipments exceeding legal heights for the transportation lane are dealt with on a case-by-case basis. Depending on the location, we transport freight up to 13' high. 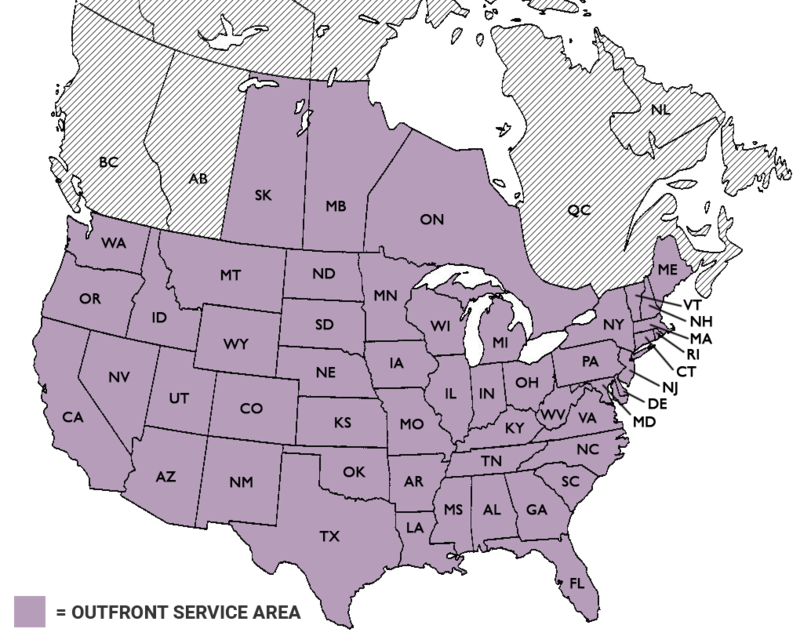 Outfront transport operates in the entire lower 48. We also operate in Saskatchewan, Manitoba, and Ontario. Curious about our fleet? Click here to view it live! Copyright ©2019 Trubilt Industries, Inc. & Outfront Transport. All rights reserved.